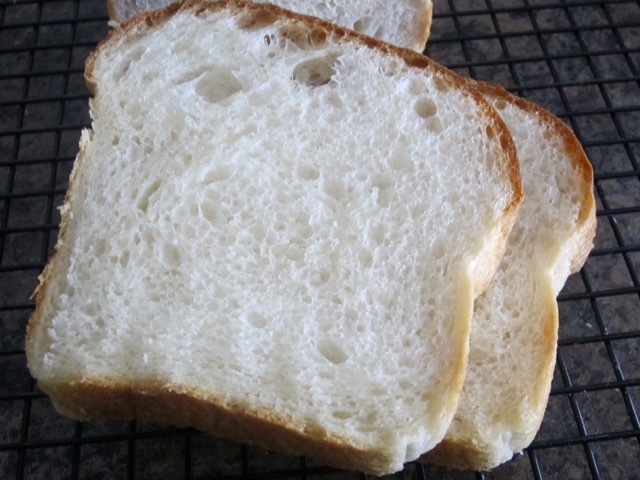 This is the best white bread I’ve eaten in ages. You can either mix it by hand using the “French way” of ‘kneading’ which uses the stretch and fold technique or throw ingredients into your stand mixer and let it do the kneading for you. 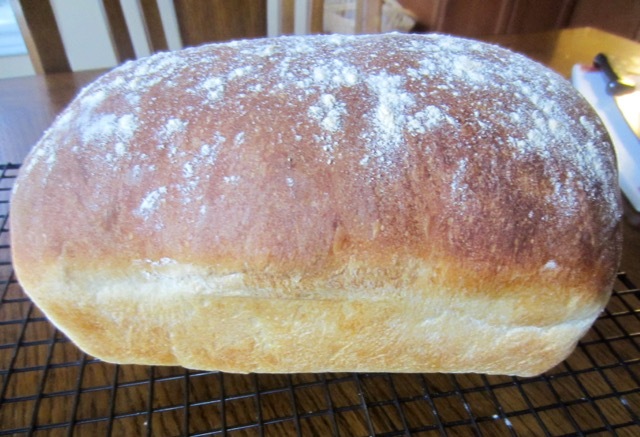 I have made this bread ten times, by hand. The first time I tried it, my countertop was a sticky gluey mess, with sticky dough flying in every direction. I was however, determined to learn so I made it again and again until I learnt how to do it. 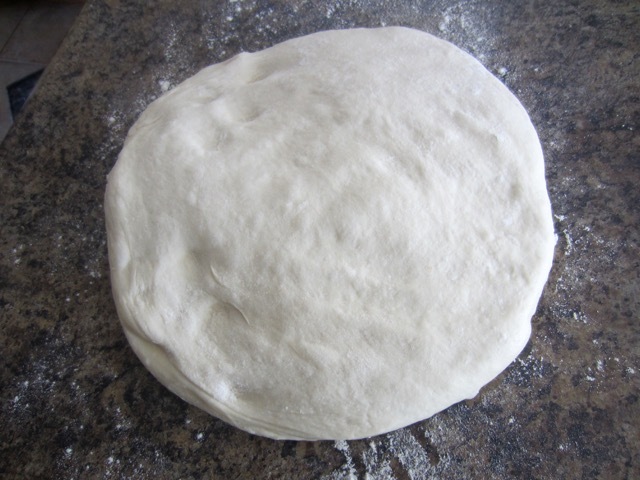 I can now slap and stretch the dough in five minutes flat. 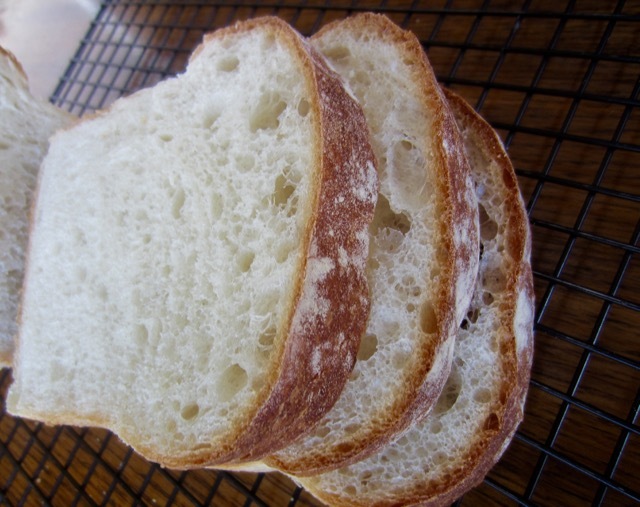 The bread is soft and airy on the inside and nicely chewy on the crust. Everybody in my house eats it. The other day we ate two loaves in one day. I wish you all the best if you decide to try this technique and recipe. I highly recommend it. with the rounded end of the scraper turn the rested dough onto a lightly floured countertop. 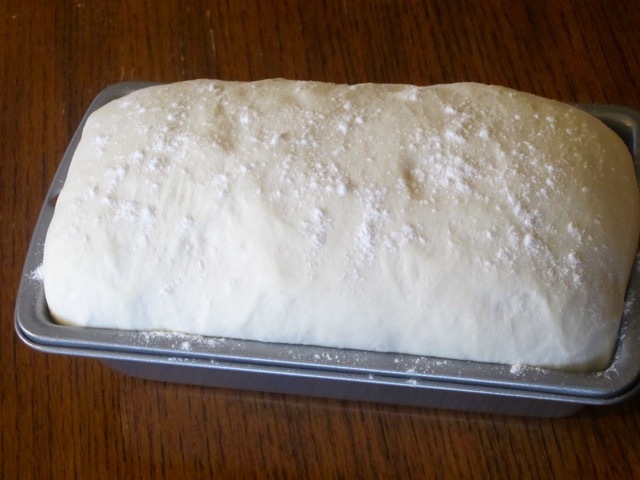 Divide the dough into two equal portions and mould each into a loaf shape (watch the video). 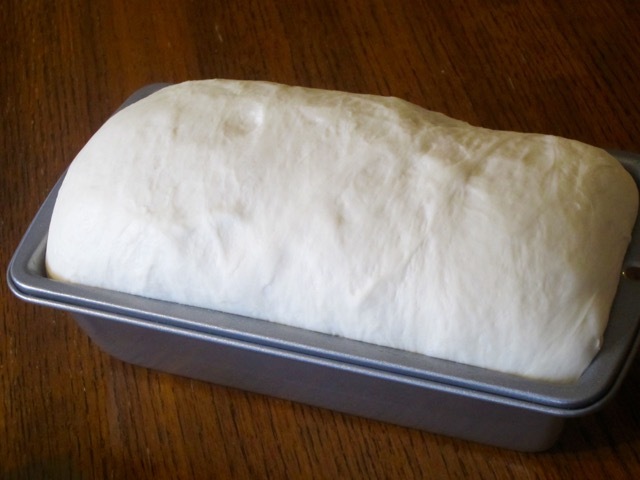 Place the bread into the oven and using the spray bottle, give the loaves three big square of water, then bake at 475ºF (250ºC) for ten minutes. Reduce the temperature to 425ºF (220ºC) and continue baking for another 20 minutes or until golden and cooked through. 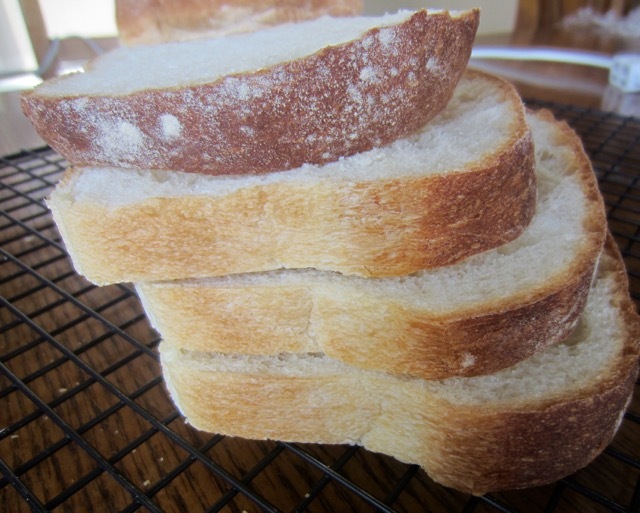 Remove the loaves from the oven and transfer on a cooling rack to cool at least 30 minutes before cutting. Make Richard Bertinet’s white dough, by hand (steps 2 and 3) or in a mixer (step 4) and let the dough rest for 1 hour (step 5). It’s highly recommended that you use fresh yeast. I have never used fresh yeast because I’m still figuring out where to buy it. 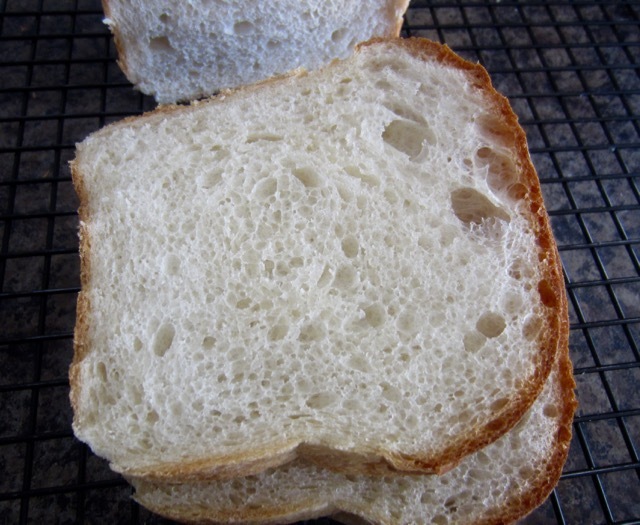 I used Fleischmann’s instant yeast. 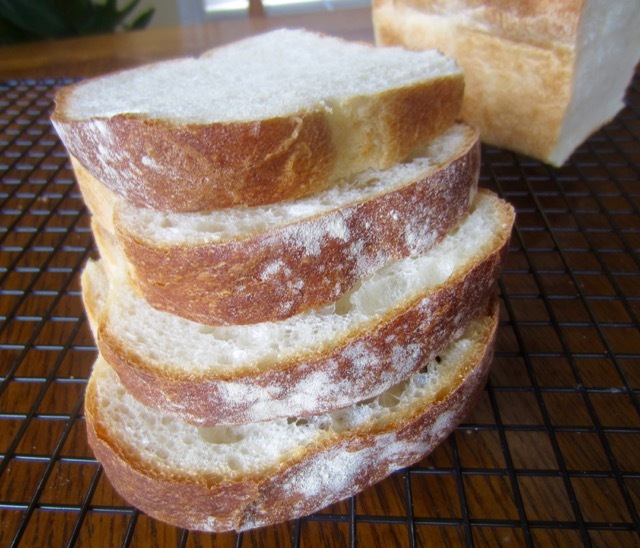 To freeze the bread: partially bake the bread (10 minutes at 475ºF (250ºC) and ten minutes at 425ºF (220ºC) then cool it completely. Wrap with parchment and seal in a plastic food bag. 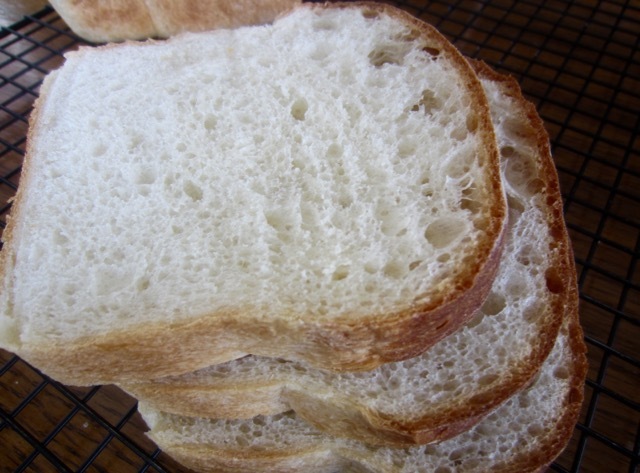 To bake partially baked frozen bread: put the bread in a cold oven and set to 400ºF (200ºC) and bake for 12-15 minutes or until the oven reaches 400ºF (200ºC). If baking in an oven preheated to 400ºF, then bake 8-10 minutes. Next What is Coriander Seed?